They’re known for being generic, vague, disconnected in any real way from the company’s activities, and sometimes even incomprehensible. Here’s where the Culture-First advantage comes in. While for many companies defining a mission and vision statement is yet another task to tick off a great long to do list, in Culture-First companies, leaders know that the mission and vision are absolutely critical in setting the direction of the company and focusing the team. If written well, a company’s mission (its reason for existing) and vision (its ambitions and dreams for what it wants to create) will influence everything the company does, from its hiring and onboarding processes to its sales and marketing approach, to the products and services it offers. Together with company values, the Vision and Mission statements form the foundations for a strong and effective organisational culture. So what exactly is the difference between the two, and what are the ‘Do’s and Don’ts’ of articulating your company’s mission and vision. The company VISION statement articulates the company’s medium to long-term goals and aspirations. Looking 5-10+ years into the future, and if everything goes right, this is how the company will change the world. To be powerful and inspiring, it should be compelling, meaningful and boldly ambitious, capturing the essence of why the company exists and what it would make happen if anything were possible. The company MISSION statement describes the organisation’s visible, tangible work in the world — what the company does, who it does it for, and how this helps the client. It explains the tangible activities and overall approach or attitude the company takes as it translates the big picture vision into everyday action. Companies find mission statement definition easier than the defining the vision and there are companies who choose to have a mission or a vision. I believe that one doesn’t work without the other. Both are critical. Like Google, LinkedIn’s vision speaks to the outcome for the client, and the mission describes what the company does to create this outcome, using clear, simple language. Clear about what they want to do, why and the position they want to hold in the market as they do it. Mission: At eBay, our mission is to provide a global online marketplace where practically anyone can trade practically anything, enabling economic opportunity around the world. Vision: Our vision for commerce is one that is enabled by people, powered by technology, and open to everyone. eBay’s vision of a people-enabled, technology-powered commerce, and their mission of providing a global online platform to enable global economic opportunity, clearly feed into each other, but they are distinct, written in language which is accessible and easily understandable. Vision: To create a better everyday life for the many people. Mission: Offer a wide range of well-designed, functional home furnishing products at prices so low that as many people as possible will be able to afford them. The vision is certainly ambitious, but it’s clearly rooted in three core factors — price, product and convenience. Amazon’s success can undoubtedly be attributed to their ability to execute their mission of the lowest possible prices, the best available selection, and the utmost convenience. Vision: We believe passionately in the power of ideas to change attitudes, lives and, ultimately, the world. This two-word mission statement could be seen as slightly obtuse, because it doesn’t actually state that the organisation’s core offering is hosting events which are then made available via online video. It does however allow TED to do whatever it takes to spread ideas. Vision: To become the world’s most loved, most flown, and most profitable airline. A clear, simple yet powerful vision and mission statement. Southwest is clearly achieving these! These two statements are very similar, almost confusingly so, but there is a clear difference between them: the vision describes the client experience, while the mission describes the work that Google does. The Deliberately Developmental Organisations mentioned in An Everyone Culture, have one critical element in common, human development. Reading the two examples below you will see how human development, both internal and external to the company, is front and center in both company’s statements. Vision: Change the world by changing workplace culture. More than just an empty mantra. NextJump’s vision and mission are woven deeply into the fabric of how they run their business. They are the Usain Bolt of organisations. Read more about them here. Vision: To pursue profitability and human development as one thing. Purpose: To provide places for people to flourish, to become fully oneself, which includes living an undivided life and growing into what one is meant to be. Although this vision and mission statement doesn’t articulate what exactly Decurion does, its raison d’être is clear and there is no mistaking that growing and developing its people sits at the very core of this business. Culture-First companies see defining their mission and vision as a core business task that forms part of the foundation, together with the company’s values, upon which the rest of the business will operate. These statements inform customers, partners and potential employees, about what the business exists to do, and guides employees about how to do it. 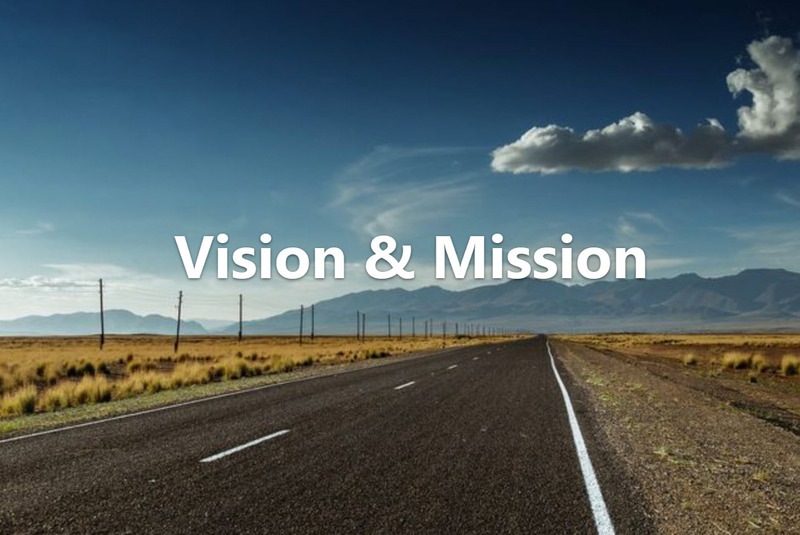 A post on mission and vision statements wouldn’t be complete without me presenting the CultureGene vision and mission. Our mission is develop tools and services to help high-growth companies maximize their culture. Our vision is become a DDO and to change the culture of business globally. 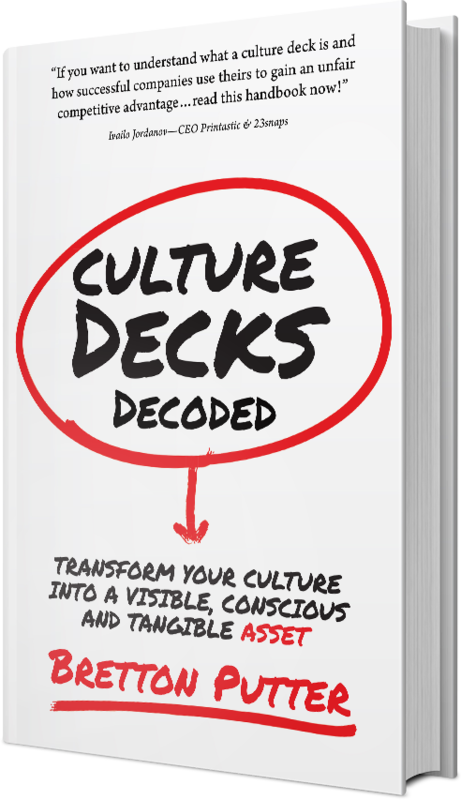 For more information on core values, mission and vision statements check out The Best Company Decks on the Web.